Being in an accident is a traumatic experience, both on the body and the mind. If you are injured in your accident, you could be facing a lifetime of aftereffects. It is important to make sure that your health and future are protected, and our Seattle, Washington injury attorneys have the experience needed to ensure your rights are being protected. Choosing from the list of personal injury lawyers is one of the most important decisions you will need to make after an accident. That choice will not only affect how your claim is resolved, but also the total value of the settlement you receive. People are often shocked when they find out what even a brief stay in a hospital can cost them, and there is no reason you should be stuck with the bills. Our qualified injury lawyers will help you get the compensation you deserve so that you won’t be paying the price of being in a accident for years to come. If you or someone in your family has been injured in an accident, it is vital that they speak with one of our personal injury lawyers as quickly as possible. Evidence that supports your claim could be lost, altered, or destroyed if it is not quickly documented and preserved. Your insurance company will start working on your case immediately, and their goal is going to be to minimize the amount of money you receive on your claim. You need to be just as proactive to ensure that you’re getting a fair assessment. Our experienced Washington personal injury attorneys know how the insurance companies operate. This is because they used to work on their side. That experience has given them an inside edge when dealing with insurance companies and their tactics. The first thing you need to realize is that your insurance company is not your friend. Their agents will act like they are trying to help you. They will show a great deal of concern. Then they will turn around and do everything in their power to minimize the value of your injury claim. Our lawyers will work as your personal advocate to fight against unfair treatment by your insurance company. We will make sure your rights are being protected according to Washington law and work to maximize the value of your insurance claim. With over 50 years of combined legal experience, our personal injury lawyers know how to aggressively fight against the underhanded practices that insurance companies are known for. When dealing with insurance companies, it helps to have an inside edge. 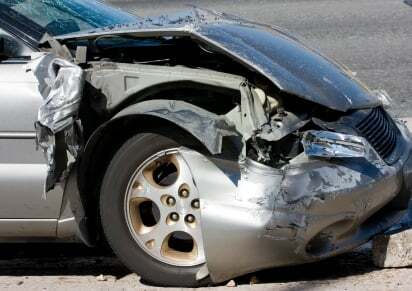 Our lawyers know how the insurance companies think when it comes to dealing with your accident. How? Because we used to represent them. One of our attorneys worked for years as an insurance defense lawyer before starting work as an advocate for accident victims. Throughout this period, they worked on cases involving automobile accidents, wrongful death, construction injury, medical malpractice, slip and fall injury, pedestrian and bicycle accidents, and many more. What was the primary goal of the insurance company in all of these cases? To minimize the overall value of the damages paid out. During this time, countless people essentially forfeit or lost valuable legal rights as a result of bad information, ignorance, or poor advice. This underscores the importance of having qualified Washington personal injury attorneys working to help you fight against the heartless tactics of the insurance companies. Without proper representation, you will likely get run over by the legal machinery of the insurance companies. We have seen first-hand how honest, hardworking people have been taken advantage of by large insurance companies only concerned with their bottom line. Most people believe that their insurance company will be there for them because they’ve kept up with their premiums for many years. They take their agents at their word, and five years down the road find themselves with piles of unpaid medical bills and no legal recourse to make the insurance company own up to its promises. The simple truth is that your insurance company does not care about you. It is vital that you make sure your legal rights are being represented if you’ve fallen victim to an injury. Our aggressive personal injury attorneys will make sure that you are doing everything legally possible to ensure the largest settlement claim that you are entitled to. We will fight the insurance companies on your behalf, making sure that you are more important than their bottom line. Make sure that you talk to one of our lawyers BEFORE you agree to any terms with your insurance company. They utilize a variety of very effective techniques, tactics, and strategies that are designed to trick you into waiving your legal rights and options. It’s human nature to want to put a bad experience behind you. The trauma of an accident can strengthen this desire, especially if you have to miss work or time with your family. Remember, however: one bad decision on your part could adversely affect you and your family for years to come. Don’t get taken advantage of by your insurance company. Make sure that any time you put your signature on a piece of paper, it is one that will help you, not hurt you. Remember that the job of any insurance company agent is to convince the person who was injured by someone else’s negligence to accept as low a settlement as possible. This is the number one way that insurance adjusters are evaluated and rated for their job performance. Make sure your legal rights are being protected with help from the Law Offices of Jason S. Newcombe. Don’t risk your health or your family’s future. Ensure that you are being fairly treated by the insurance company with help from our experienced team. We will fight against the impersonal tactics of the insurance companies to help get you the settlement you are entitled to. Being in an accident will change your life. If you’ve been injured in an accident, you might not know how to proceed. The physical trauma and emotional pressure can make it difficult to make decisions that are in your own best interests. We can help you make sound decisions and help you through this difficult process. Your accident and subsequent injury will most likely lead to medical bills and lost wages. If it is serious, then it could affect your enjoyment of life for years to come. Don’t get stuck under a mountain of bills or sacrifice the things in life you love most because of someone else’s negligence. We know how the insurance companies work, and we will make sure your rights are being protected. If you would like to talk to one of our Washington state personal injury attorneys, then call us today for a free consultation about your case. We will answer any of your questions and give you the facts you need to make an informed decision regarding your future. We will not pressure you to make a decision, but if you decide to hire us, we will begin working on your case without delay.